Mouse Guard, Labyrinth and Other Stories Hardcover (Archaia) – That’s right, this year Archaia is offering a free 48-page, 6″ x 9″ full-color hardcover featuring all-new material! In addition to the Mouse Guard and Labyrinth stories, the anthology will feature new shorts of Royden Lepp’s Rust, Jeremy Bastian’s Cursed Pirate Girl, Cow Boy by Cosby (Pigs) and Chris Eliopoulos (Franklin Richards), and the Eisner Award-wining Return of the Dapper Men by Jim McCann and Janet Lee. I suspect that this one will be in high demand, so make sure to get to your local comic shop early to claim yours. 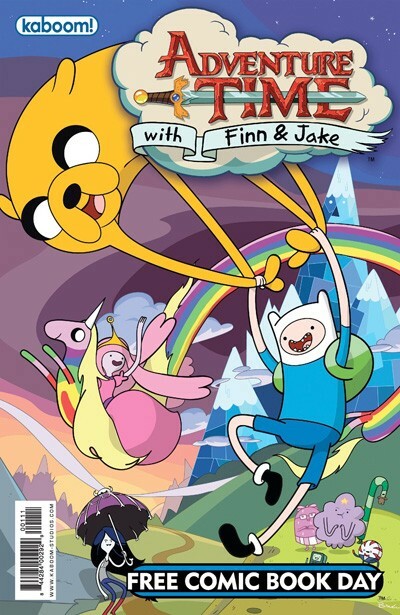 Peanuts/Adventure Time Flipbook (Boom Entertainment) – It’s a free Adventure Time comic! What more could you ask for? Well, how about an all new short story in which BMO learns karate! Oh, and there will also be a Peanuts story. Comic shops across the country will also be offering free copies of Avengers Age Of Ultron Point One (Marvel), DC Comics The New 52 Special ED (DC), Image 20 (Image), Spider-Man (Marvel), Buffy/The Guild (Dark Horse), Atomic Robo & Friends (Red 5), and lots more. 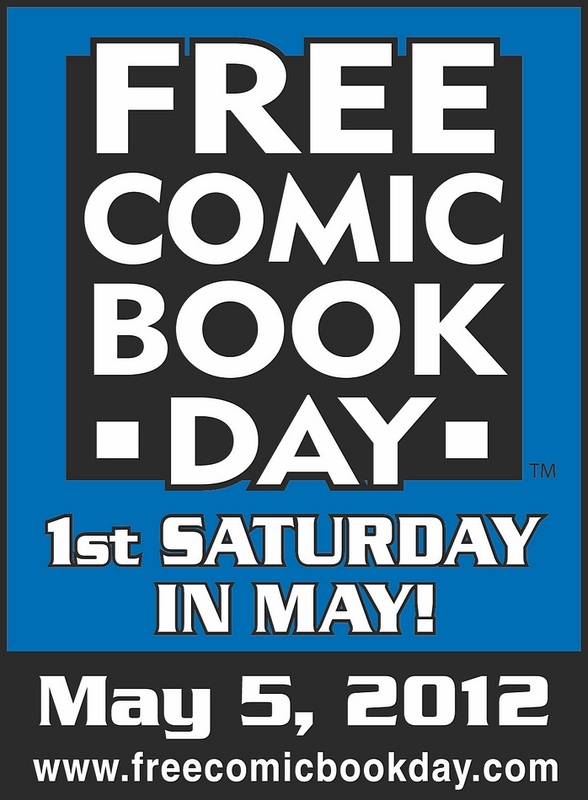 Comment and let us know which free comics you’re looking forward to grabbing a copy of most!